Location: At the E end of the row which is attached to Carew Inn. Small forecourt with rubble masonry walls returning at the left to a wide gateway with stone piers. A C18 group in terrace form, originally consisting of five or six cottages. They appear to be shown on the 1750 estate map. The level of the eaves at front was formerly about 0.5 m lower than now, and following the reconstruction of the roof disproportionately large C19 windows have been inserted in the upper storeys of nos. 6, 7 and 8. The mark of the original lower roof level is also evident on the W gable. No. 6 has been formed from two originally single-fronted cottages. No. 7 appears to have been originally double-fronted, as it is now. Rough-cast render on no. 8 obscured its original form and the alterations to no. 9 obscure its original form also. The width of each of the latter two suggests they were single-fronted. It is said locally that there were pigsties in the forecourts of these cottages. Mid-C19 double-fronted house with two storeys and a range of three windows facing N to the village street. Roughcast at the front with smooth render window surrounds. The left gable wall is rendered. Slate roof with tile ridge. Brick end-chimneys, the one at the right rendered. Recessed windows of four panes with sashes. Door of six panels. Listed for group value with the other listed buildings of Picton Terrace. In a mid position in the row attached at the E of the Carew Inn. 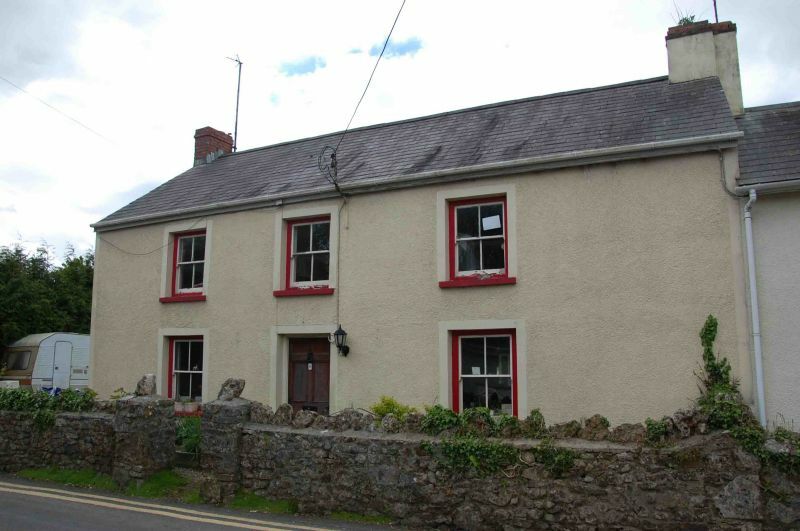 At the E of Carew village, constituting a row of cottages on the S side of the village street in line with, but detached from, the cottages adjoining Carew Inn.